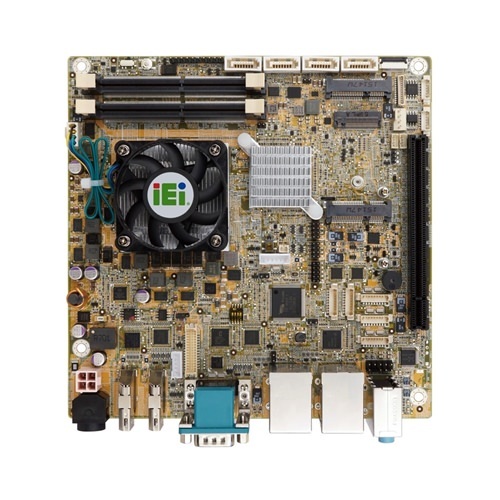 KINO-DQM170 is an industrial Mini-ITX motherboard with Intel QM170 chipset. It supports 6th generation LGA1151 Intel Skylake Core i7/i5/i3/Celeron processor, dual channel DDR4 2133MHz memory up to 64GB, four USB3.0 ports, four USB2.0 ports, six COM ports, four SATA 6.0Gbps with RAID supported. It also supports HDMI 2.0 which can provide 4K Ultra HD display with 60Hz. It is ideal for high performance and reliability concernd applications.